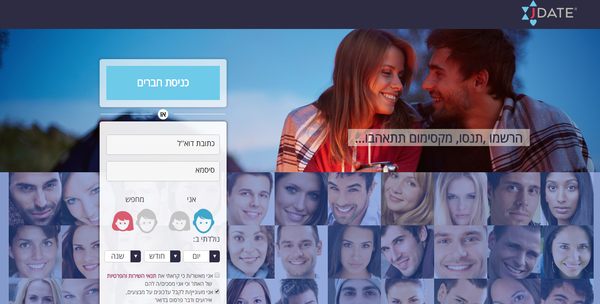 Israel is not exactly the first country that you think of when it comes to online dating. When you compare the size and scope of online dating in the United States or Canada to that that of Israel, you will see what I mean. Nevertheless, if you are looking to find a Jewish mate in Israel, the site that I mention below is the best online dating site in Israel and the one that will give you the best chance for success. Should you decide to sign up for the online dating site I recommend below, be sure to read member profiles carefully as you might come across a lot of fake profiles. Usually, I can spot these profiles pretty easily. A woman who has only one picture posted, is wearing a form-fitting outfit and making an overly suggestive pose are usually clear signals to steer clear. Another clue of a pretender is a woman who has a poorly written profile. As a general rule of thumb, the more boring the profile, the more boring the person. 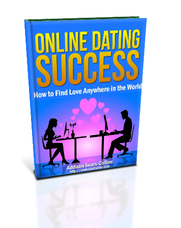 Without further ado, below are my thoughts and reviews on the best online dating sites in Israel so that you can get started on searching for a potential significant other in this fine country. In the previous paragraph, I probably should have written the best online dating “site” in Israel instead of “sites.” There is really only one dating site worthwhile to explore if you are going to Israel and that is JDate.co.il. Sure, you have free sites like Badoo.com or Tagged.com that you can try. However, with those sites, you will spend so much of your time weeding through trashy profiles that you will soon realize it is just not worth it. JDate is an international Jewish dating site that was founded in 1997. The site currently has around 450,000 members, of an even 50-50 gender split. JDate has an international office in Israel, with an all-Hebrew site to go along with it. JDate is a niche dating site that cares deeply about its niche. Beyond bringing Jewish singles together, the site is equally passionate about strengthening and nourishing the spread of the Jewish culture. If you’re Jewish or looking for Jewish singles, then this site is a no-brainer. Signing up is quick, only requiring your basic info. Select your gender and the gender of who you are looking for, your location, relationship status, smoking habits, height, education, occupation, your religious background, how often you go to Synagogue, how many children you have, whether you want children, birthday, email and password. You can now browse profiles or finish your profile by uploading photos, answering questions about yourself and your ideal partner, and sharing your appearance, background, and interests. Standard profiles are given a random 6-digit number, rather than a choice of username. JDate provides a list of recommend matches for you, updated daily, that is based on your selected preferences. Everything you selected for your own profile is available as a filter here: gender, age, location, religion, etc. Each match presented shows their photo, age, location and a short blurb they’ve written about themselves. Only 12 matches are shown to you a day, so if you’re super busy or easily overwhelmed by all the choices in regular browsing, stick with this feature. If you have more time on your hands, head to the search feature where you can browse through thousands of profiles, using the same filter options as above. JDate’s communication features are pretty basic, and anything above a Flirt is off-limits to non-paying members. Once you’ve upgraded, and found a match you’re interested in, you can also send a message, start a chat or add them to your favorites. If you’re interested in someone, but too shy to send a direct message, you can also Secretly Admire someone, and JDate will secretly check to see if they admire you as well. If they do, JDate will notify the both of you of a mutual match. Kibitz Q&A – A public board where you answer questions, e.g. Do you get along with your immediate family?